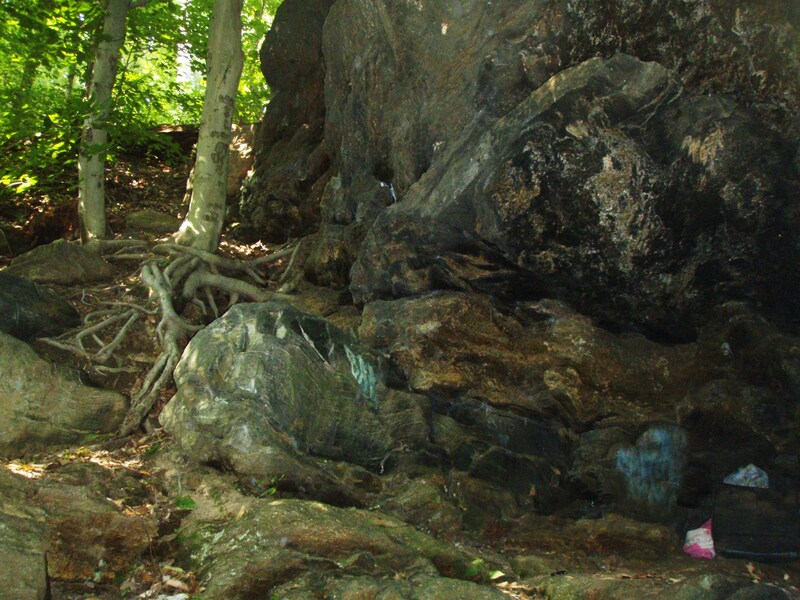 In a previous article, I wrote about Johanas Kelpius, the merry monk who lived as a hermit in a cave by the Wissahickon. 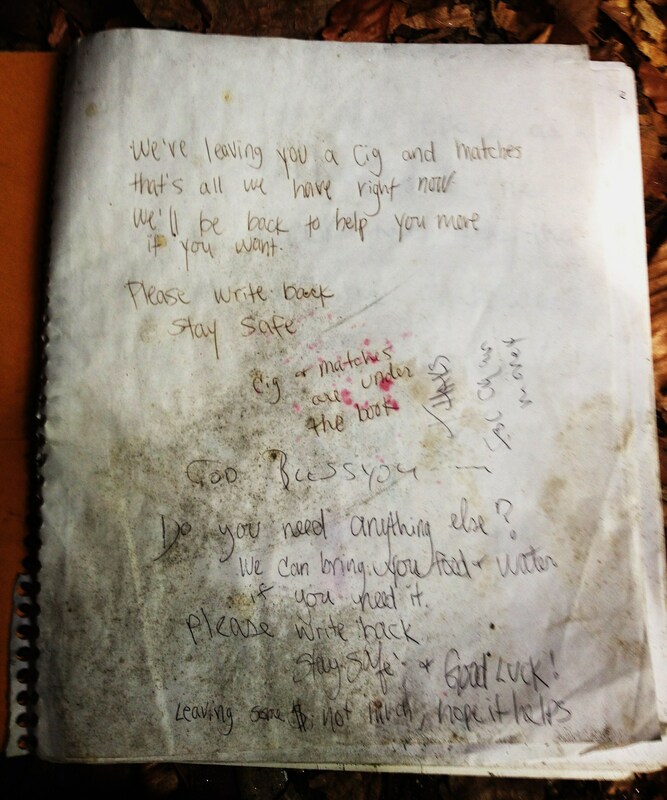 But there is another set of caves on the Wissahickon that few have heard of, and fewer still have entered. 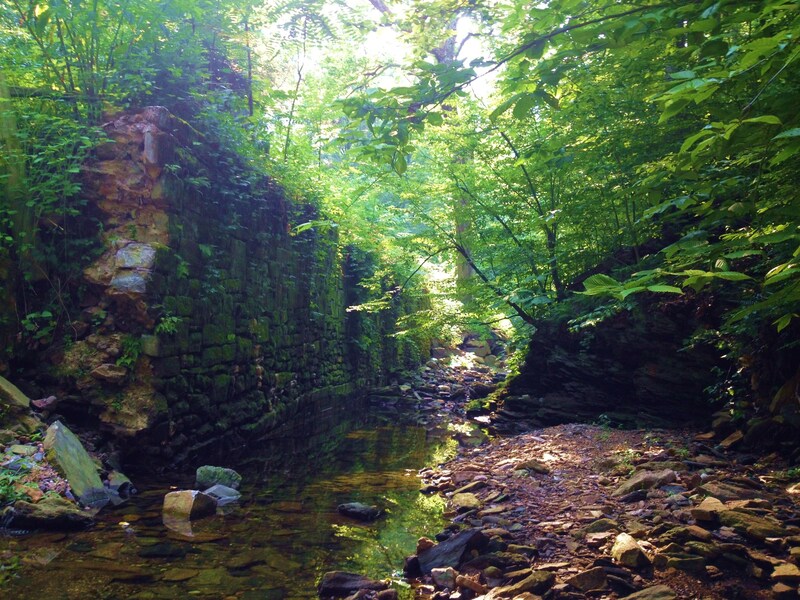 In the steep hills of Wissahickon Park, Gorgas Creek tumbles through a thickly-wooded valley on its way to join Wissahickon Creek. Near the intersection of these two creeks, a 20 foot rock outcrop thrusts itself off the hillside like the prow of a stone ship. 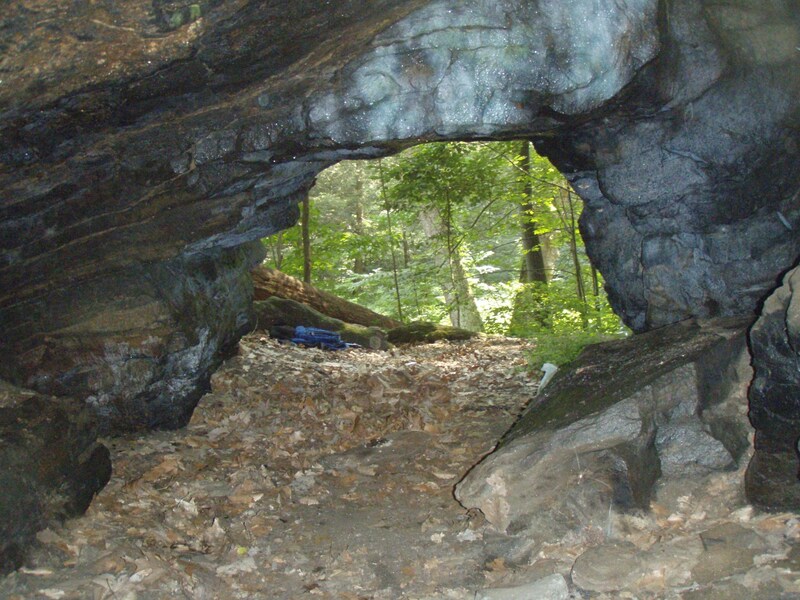 At its foot, a dark, low tunnel reaches back twenty feet into the rock. Further downstream, a small hole in the hillside blows cold air, hinting at still larger spaces underground. Almost nothing about the caves is known for certain. They remain shrouded in legend, purported to be the hiding place of robbers, Indians, and patriots. 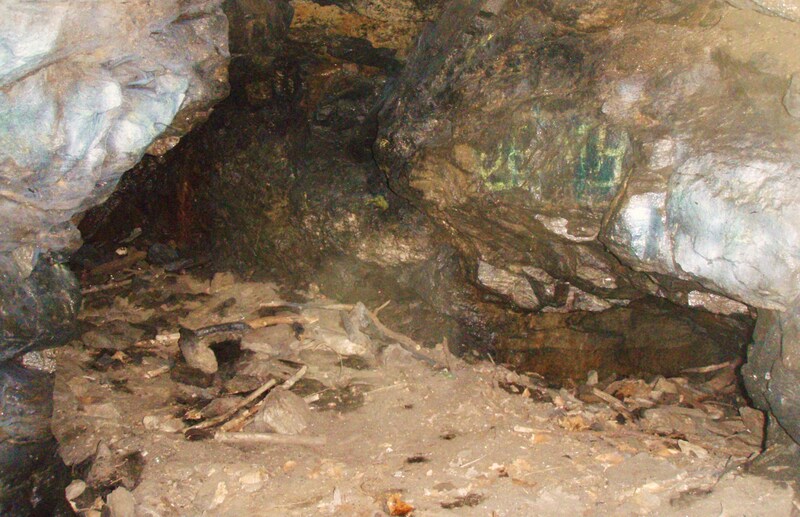 What we do know is that the caves are man-made, excavated with hand-powered rock drills and black powder by the Roxborough Mining Company in 1763-1764, which means they are among the oldest mines in North America. The company, whose goal was to uncover “ores and minerals,” consisted of just seven men, several of them were German immigrants from Germantown, apparently under the leadership of Barnard Gratz. Today the rock contains nothing of value, so it is puzzling why they would have dug there at all. 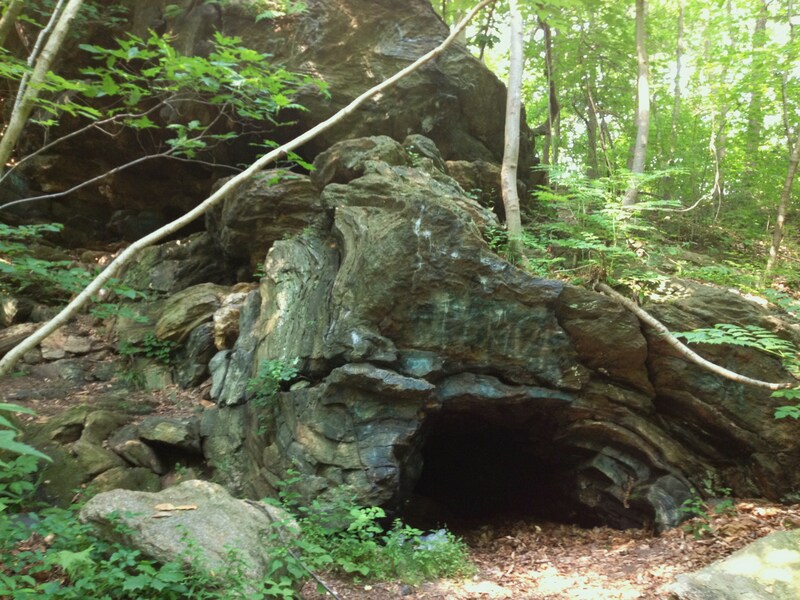 The caves were rediscovered in 1854 by a young local historian named Horatio Gates Jones. One of the entrances had become silted up, and had to be dug out before Jones could crawl inside. He recounts that this tunnel forks like a “Y” and goes back 30-40 feet. Shortly after, the hole largely filled up again with dirt, as it remains today. Author’s Note: special thanks to The Roxborough, Manayunk and Wissahickon Historical Society, who helped with research for this article. They were called the Micky Mouse Caves at one time. I dunno why. I like the article and the photos. Thank you, John. But it bugs me that the city has been referring to the ‘creek’ as Gorgas Creek and, on the signs on the bridge above it, as Gorgas Run. It was Oil Mill Run. Do you know when they changed it? And why?